Nokia 6 will be sold via flash sales on Amazon.in. This is a detailed guide to help you in buying the Nokia 6 in the very first sale. You can also get Rs. 1,000 cashback on the purchase of Nokia 6. 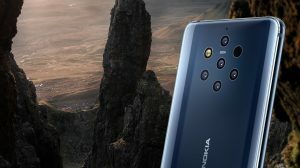 The Nokia 6 is an Amazon Exclusive product in India. Nokia India will sell Nokia 6 via flash sales. This means that customers will have to register for the sale. And then take part in the sale where the fastest fingers win. The sale can last from a few seconds to several minutes depending on the amount of stock which Nokia puts up for sale. The number of interested customers will also affect the duration of the Nokia 6 sale on Amazon and the ease of buying a Nokia 6. How to Register for the Flash Sale of Nokia 6? The Price of Nokia 6 on Amazon is set at ₹14,999. Interested customers need to register for the flash sale. Amazon customers who register before the date of sale will be eligible to take part in the sale. The first flash sale of Nokia 6 in India will be held on 23rd August. Yes, that is a long wait and a bit too long for many fans to wait. There is no information about how many units will be put up for the flash sale. But it is sure that it will sell out in minutes, no matter how much stock they put in for the first sale. Read the next part to know how to register for the flash sale. Registrations for Nokia 6 flash sale on Amazon have started from 14th of July. Registering allows you to participate in the Nokia 6 flash sale to be held in August. We will regularly update the page with new information. So, make sure that you bookmark it in your web browser. Amazon is offering a cashback of Rs. 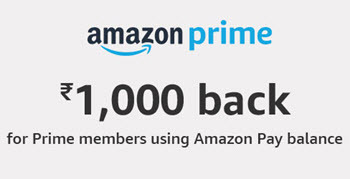 1,000 to all Amazon Prime users. You should be a paid user of Amazon Prime membership to be eligible. If you are currently enjoying the free trial of Amazon Prime, then you need to convert to the paid membership within 10 days from the expiry of your free trial. Following are the details of the Nokia 6 cashback offer. The cashback is only available once per customer. You will only get it on your first order of Nokia 6 smartphone. Any further orders will not entitle you for more cashback. The Prime Video service is absolutely worth those Rs. 500. You can enjoy unlimited access to movies and tv series for an entire year. Your cashback of Rs. 500 will be added to your Amazon Pay balance within 30 days of your purchase of Nokia 6. You need to make the payment for Nokia 6 using Amazon Pay Balance to get Rs. 1,000 cashback. The entire amount of the order needs to be paid using Amazon Pay balance. Open Amazon Pay. You will need to login to your Amazon account. 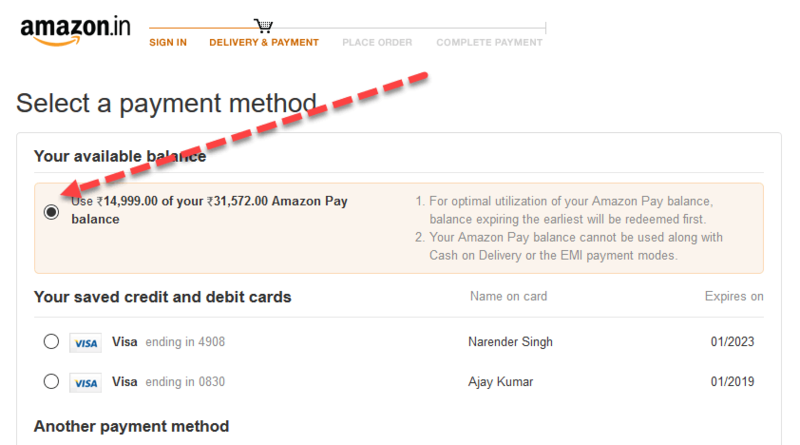 Enter the amount which you want to add to Amazon Pay balance (14,999 or more). Complete the payment using Net Banking or Credit/Debit card. You can also use Amazon Gift cards to top-up your Amazon Pay balance. So, if your employer or friend has sent you an Amazon Gift card, then add it to your account. Then top-up the remaining balance using your net banking or credit/debit card. Add Nokia 6 to the shopping cart. Checkout and enter (or select) your billing and shipping address. Select Amazon Pay as the payment method. Pay for the entire order using Amazon Pay. Partial payment will disqualify you from getting the cashback. The cashback of Rs. 1,000 will be added to your Amazon Pay balance within 30 days of purchase. 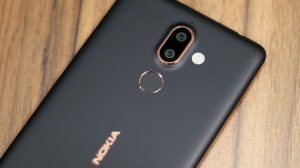 Vodafone has an exciting offer for the Nokia 6 buyers. Vodafone users purchsing a Nokia 6 will get 10GB data per month for Rs. 249 per month. This is valid for 5 months after which you will be switched back to your actual plan benefits. MakeMyTrip.com is also giving away Rs. 2500 worth of benefits. This includes Rs. 1800 off on hotels and Rs. 500 off on domestic flight bookings. This is a step-by-step guide to purchasing Nokia 6 from flash sale on Amazon India. The exact date for the flash sale is not announced yet. However, registrations for the sale are starting from 14th of June. Read the previous section to learn how to register for the sale. Make sure that you have Amazon Prime membership and you have loaded enough amount in your Amazon Pay balance. Otherwise, you will not get the Rs. 1000 cashback. Open the Nokia 6 flash sale page on Amazon. When the sale starts, choose the color you would like to purchase. Proceed to checkout and complete the payment within 15 minutes. Here are some tips you can follow to improve your chances of successfully ordering the Nokia 6. These tips will enhance your chances of buying the Nokia 6 in the first flash sale scheduled in July 2017. 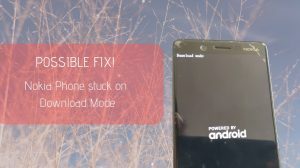 We also advise you to not go for any tricks or scripts for Amazon Flash sale of Nokia 6. Tricks can sometimes cause your order to be canceled. Free up your internet connection by disconnecting other devices connected to your WiFi network. Consider using a PC/Laptop to place the order for Nokia 6. Close all other tabs in your browser and any downloads running in the background. Login to your Amazon account about 10 minutes before the sale. Add your billing and shipping address in your Amazon account in advance. 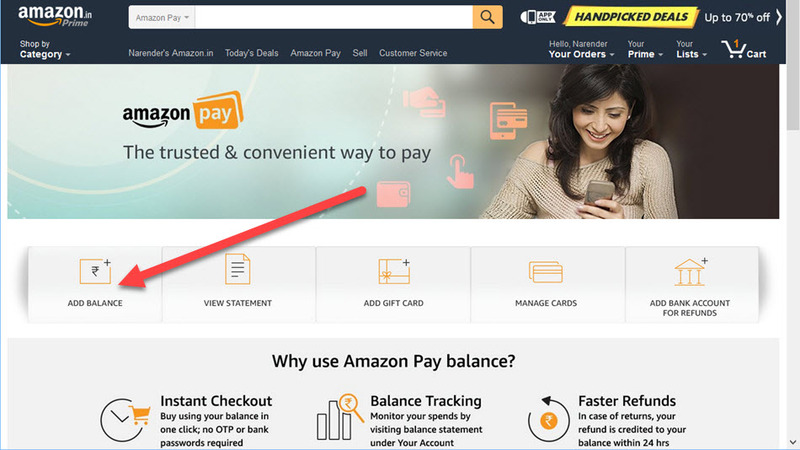 Have the money added to Amazon Pay balance for faster checkout and also enjoy Rs. 1000 cashback. Grab a wireless/wired mouse if you’re using a laptop. Clicking using the touchpad can be tricky and troublesome. Keep your eyes focused as the sale time approaches. Click the Add to Cart button as soon as it appears. Complete the checkout process quickly after the Nokia 6 is in your cart. Your cart will be emptied after 15 minutes, so be quick.